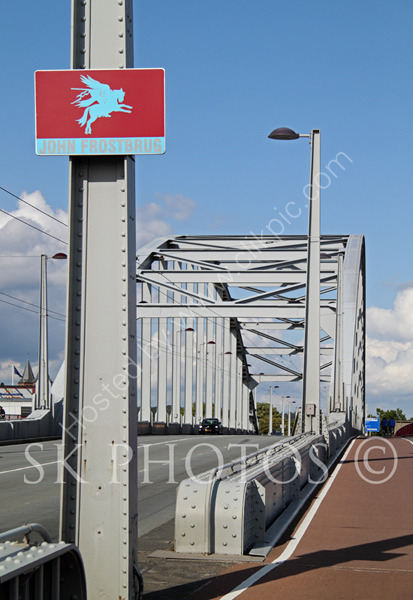 John Frost Bridge (John Frostbrug) is the road bridge over the Lower Rhine at Arnhem, in The Netherlands. The bridge is named after Major-General John Dutton Frost (1912–1993), who commanded the British forces that reached and defended the bridge during the Battle of Arnhem in September 1944. Operation 'Market Garden', September 1944. The ambitious attempt by the Allied Airborne Forces to capture the five key bridges that stood between Field Marshal Montgomery's 2nd British Army and the frontier of Hitler's Germany. The fifth and ultimate bridge was assigned to the British 1st Airborne Division and 1st Polish Independent Parachute Brigade, this was at Arnhem and proved to be 'A Bridge Too Far'.